Jessner’s Peel is a superficial to medium depth cosmetic chemical peel which removes the superficial layers of the skin replacing abnormal damaged cells with healthier cells resulting in thickening of the epidermis and enhancing new collagen growth. Jessner’s peel treats ageing, sun-damage, blemished skin, fine lines, acne, large pores and discolouration. Patients with oily or combination skin especially benefit from Jessner’s peel. Excess oils are common factors in acne, this type of peel opens clogged pores and reduces oil production aiding in the reduction and healing of acne conditions and improvement in overall skin health. The exfoliation of the skin is produced by a combination of salicylic acid, lactic acid and resorcinol. An experienced doctor, cosmetic nurse or dermal clinician is required to perform this procedure which more deeply penetrates the outer layers of skin than more superficial chemical peels. Evidence of this more substantial effect occurs 3-4 days following the peel, when noticeable exfoliation and flaking appears revealing your new fresh dewy skin. This process of renewal continues for about one week in total. TCA stands for tri-chloroacetic acid and is an affordable effective peel for photo-aged skin and can improve the appearance of dull pigmented skin, lines and wrinkles. TCA peels can be used on the face and body for both women and men. Superficial TCA Peels are mild to moderate peels. The peel depth is dependent on the patient’s skin type, skin condition and desired outcome. You will see a noticeable improvement after each peel. We generally recommend two to four peels at fortnightly intervals for best results. We can discuss your skin concerns and recommend a treatment plan best suited to your needs. 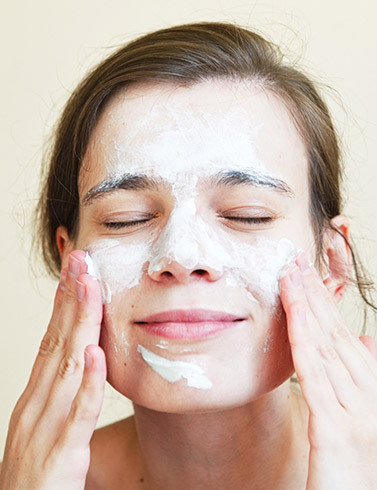 Prepping your skin with peels enhance penetration from your skin care products. AHAs, also known as alpha hydroxy acids, are naturally occurring acids which boost the natural process of exfoliation in the skin. Exfoliation allows for the dead skin cells on the surface of your skin to be loosened and removed which prevents the build-up that causes skin to appear dull and dry. Exfoliation also assists in evening out skin pigmentation, tone and texture, enhancing collagen production, and targeting photo-ageing. AHAs can reduce pore size and also have the ability to reduce acne. Overall a more radiant, youthful appearance is achieved. Why not exfoliate with a scrub a home? We prefer chemical exfoliation over manual. Harsh scrubbing at home can create microscopic tears in the skin, increasing the risk of irritation and infection. It can also clog your pores. 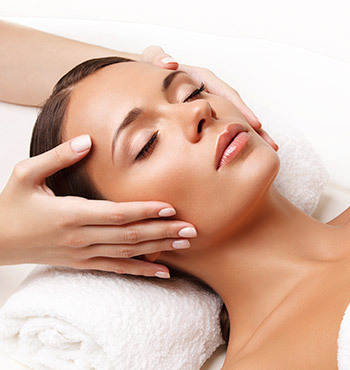 Whereas chemical peels exfoliate the skin by the use of its active ingredients which dissolve dead skin cells. We generally recommend five to six peels at weekly intervals for best results. We can discuss your skin concerns and recommend a treatment plan best suited to your needs. 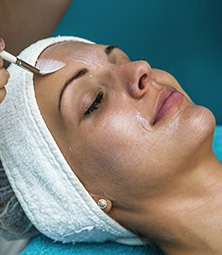 A consultation is required to determine which peel and strength is most suitable of you.